Motorcycles and Dinosaurs - Can That be any COOLER!? There are some awesome things to do this Summer right here in Orange County. Indoor and what I like to call EduFun - Educational and Fun - Discovery Cube OC is perfect for both. I really love that Discovery Cube OC changes up and keeps it fresh with all their fascinating educational hands on exhibits. Open Now, through September 11th 2016, there are TWO new Educationally Fun things for you and your kiddos to stay cool over the Summer doing at Discovery Cube OC. 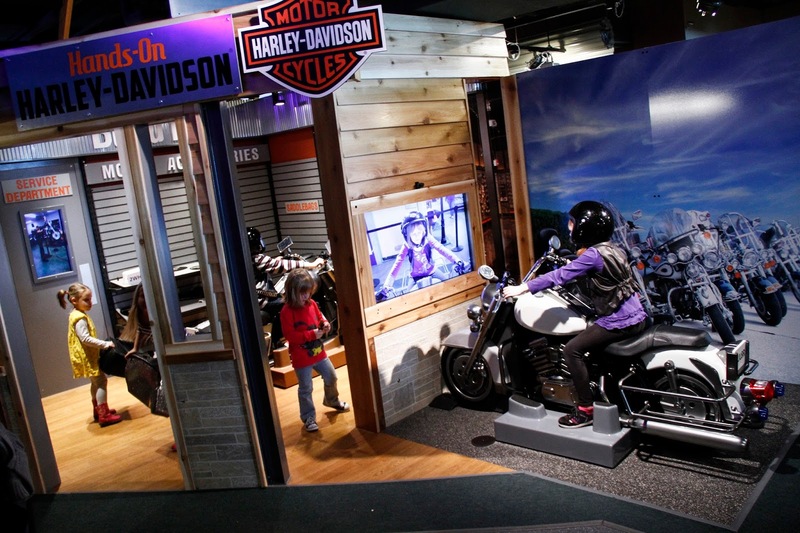 Get ready to hit the road this summer with Hands-On Harley Davidson! Engineers and motorcycle enthusiasts alike will enjoy interactive activities to learn about safety and engine parts while also conducting experiments to see what happens when you throttle-on, lean into a curve or descend a mountain road. This educational traveling exhibit illustrates science, technology, engineering, and math (STEM) concepts through a one-of-a-kind experience that lets visitors Dream It! Build It!... and Ride It! 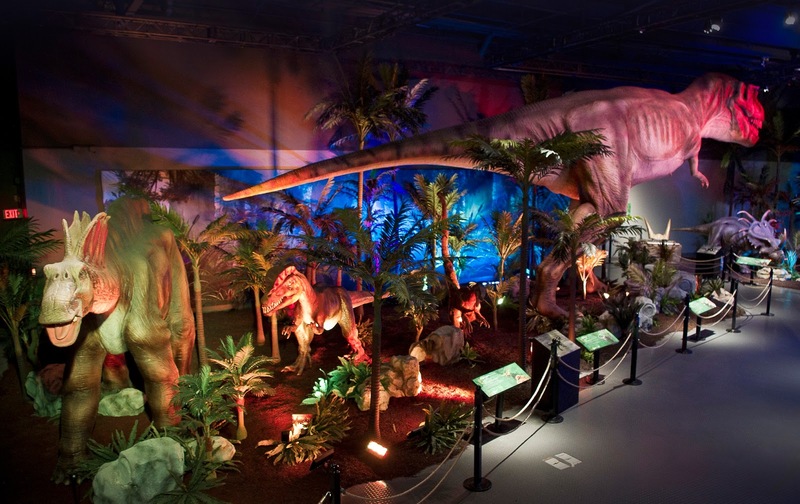 Watch the world’s strangest dinosaurs come to life at The Cube! The Extreme Dinosaurs exhibit immerses guests in a naturalistic landscape where animatronic dinosaurs roar, snarl, move their limbs and more. In addition to the life-size models, there are skeletons, a variety of real and replica fossils, and interactive activities showcasing some of the most recent bizarre dinosaur finds from the current “Golden Age” of paleontology. This family friendly experience blends science, excitement, and inspiration by highlighting the stories behind the dinosaurs’ most unusual characteristics. What I love most about Discovery Cube OC is that both of my kids can enjoy the education they are getting while playing and discovering. Happy Summer everyone!